After the dreadful first poster there really wasn’t much way to go but up. 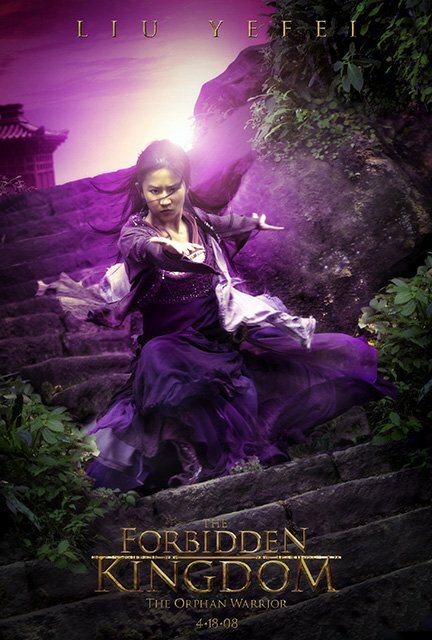 But even considering that I’m still positively surprised by these posters for The Forbidden Kingdom. They give us a really good look at the main characters in the movie, and as it turns out each of them does have a very unique and memorable look. The use of a different bright color in each image helps to further differentiate between the characters. 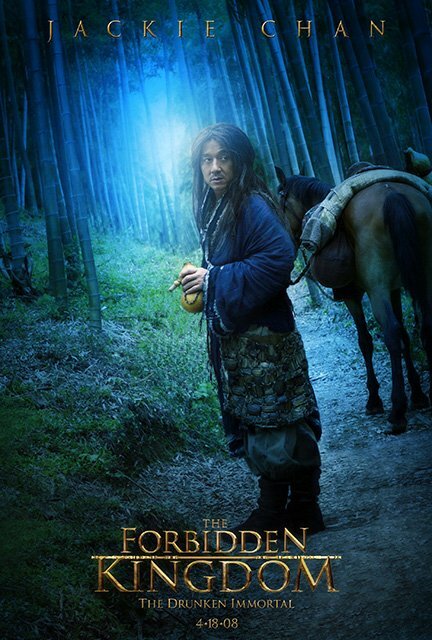 And all posters also include a very short textual description like “The Drunken Immortal” and “The Silent Monk.” These descriptions are in very small type, but the people that play close attention to the posters and notice them will get a better feel for what each character is about, so I think it’s a nice touch. 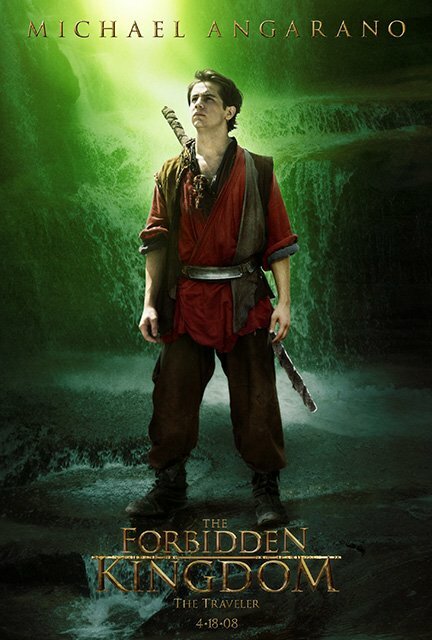 The posters also give us a a little taste of the hopefully amazing visuals and action we will see in the movie, mainly through the use of backgrounds and clothing, but also through the way the characters themselves are positioned. 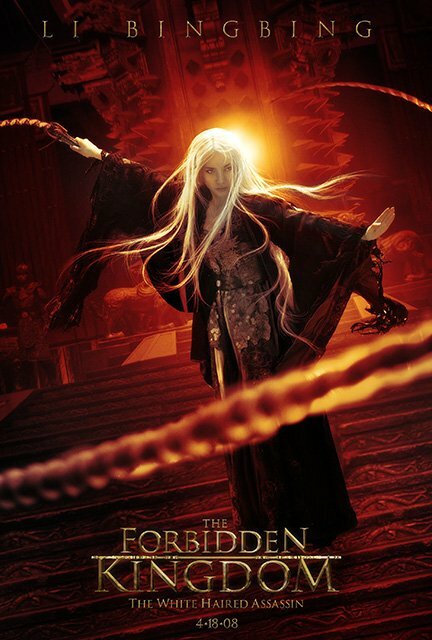 The poster featuring Li Bingbing in particular seems exciting to me as it does a good job of putting us in the middle of the action. 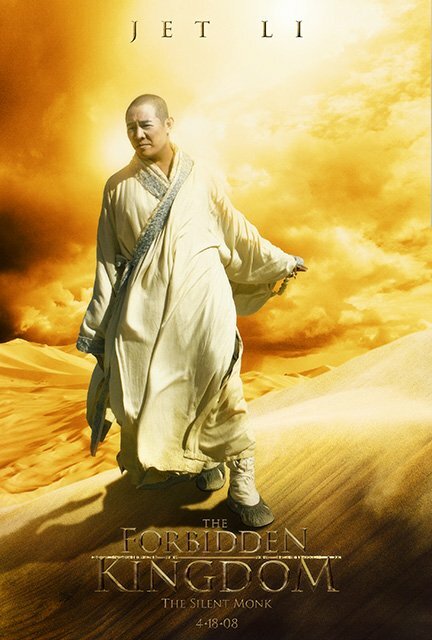 The posters are still missing some cool depictions of Jet Li and Jackie Chan together. But they are a huge improvement compared to what the campaign had been like so far. the perfect combination of the two big star in the arts of kung-fu fighting was captured the value of their past movies that relates perfectly to what they achieve now in the movie history, its not only just a movie but you can sense the heart and passion of the two character join together you cannot say that jet li is better than jackie but you will feel that you will love them both for who they are in real life…..